Your building site is likely to be left unmanned overnight with valuable tools, equipment and machinery unattended – and vulnerable. Building sites are often easy targets for opportunistic thieves and vandals. Yet a serious theft could result in days, if not weeks or months, of disruption to building work. Because of the nature of construction sites as vulnerable and often open, they need the very best security measures. And remote monitoring services from Farsight can make all the difference. How can remote CCTV monitoring improve construction site security? Security for construction sites needs to be comprehensive, and remote CCTV monitoring ensures that it is. With remote CCTV monitoring in place, your building site security will benefit from experts monitoring activity at your site when you need it. Either when staff have gone home for the evening, 24/7 or only at weekends – whenever you need optimum security measures to be in place. 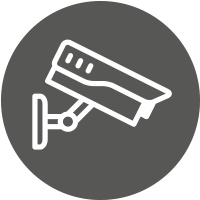 Watch our video to find out more about how remote CCTV monitoring works. The Farsight Security Services team is highly experienced in monitoring construction sites. They are aware of the unique risks these sites face and as a result are able to offer the very best remote monitoring services. You can read about some of the incidents our remote monitoring team has dealt with in our company news, such as this construction site arrest along with tips and advice for your construction site security. It’s essential that the security of a construction site is a priority from the word ‘go’. Don’t let your site go vulnerable, get in touch with Farsight today. Call us on 0845 371 0101 . Get in touch with us today to find out how Farsight Security Services could improve your construction site’s security. Phone us on 0845 371 0101 or send us an email.